but interacts with you while giving you that information. This interaction can be as simple as asking for your comments or letting you vote on an article, or it can be as complex as Flixster recommending movies to you based on the ratings of other people with similar interests. 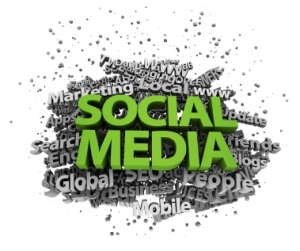 Social media, on the other hand, is a two-way street that gives you the ability to communicate too. That means, your sole purpose of using a blog or any other social media is not only to get your message out. While social media can take many different forms, including discussion boards, weblogs, wikis, podcasts (audio), pictures, and video, let’s continue the discussion about blogging. One of the most important tasks for every blogger is to monitor what others are saying about your company or brand. In some ways, this is even more important than starting and owning a blog. Every blog post in its original format is conversation that tied to a moment. If a company can track on-going conversations simultaneously among millions of blogs, it is a very powerful way to tap into the market. With flexible filtering, you can tune into whichever conversation you want to hear and care about. 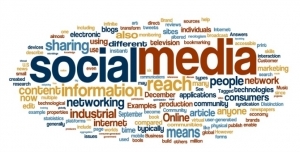 What Are Some Social Media Websites? Now that we have answered the question of what is social media, we can move on to social media websites.Because social media is such a broad term, it covers a large range of websites. But the one common link between these websites is that you are able to interact with the website and interact with other visitors. (Del.icio.us, Blinklist, Simpy) Interact by tagging websites and searching through websites bookmarked by other people. (Digg, Propeller, Reddit) Interact by voting for articles and commenting on them. (Facebook, Hi5, Last.FM) Interact by adding friends, commenting on profiles, joining groups and having discussions. Social Photo and Video Sharing. (YouTube, Flickr) Interact by sharing photos or videos and commenting on user submissions. (Wikipedia, Wikia) Interact by adding articles and editing existing articles. And these websites are not the only social media websites. Any website that invites you to interact with the site and with other visitors falls into the definition of social media. One of the best things about social media: we’re all still learning and figuring this thing out. There are no true experts. Whether you’re in B2B Marketing, Social Media or any business, the world is getting smaller and great ideas come from all over the globe. B2Bento is their marketing blog and you should most certainly check these folks out. A couple of months ago they published this amazing INFOGRAPHIC: Quickstart Guide to Social Media Success. And Asuthosh Nair & Jaspreet Sidhu from GetIt Comms recently published this great whitepaper on Social Media for B2B Marketing. You can download it for free but here is a quick summary. According to the report, traditional tactics just aren’t providing the return on investment that they used to. 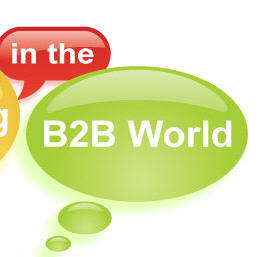 Our B2B buyers are spending less than 25% of their time paying attention to TV, print and outdoor advertising. Where are they spending their time? Social Media. Hundreds of millions of blogs, thousands of tweets per second and huge growth in user numbers across the main social sharing sites Facebook, Twitter, Linkedin. B2B buyers are taking part in this trend with as many as 90% reporting that they use social media tools. Plan Your Strategy: I have always said the first objective of social media is to define your objective. Whether you are looking to support your brand, drive leads, support customers or all of the above, it is important to have a clear set of objectives going in. Do Your Research: Define your audience. What channels are they using most? What are they talking about? Set Your Guidelines: I was proud to see B2Bento use the SAP company guidelines as a leading example along with other B2B IT names IBM and Intel and B2C brands Kodak and the BBC. The white paper also goes into a few cases studies of companies that are executing on their social media plans and achieving real results. It also provides tips and advice on how to monitor results. But I’ll let you download Social Media for B2B Marketing to see that for yourself. To me, this paper is the perfect example of social media marketers who “walk the walk” The white paper is using social media and content marketing to talk about social media and to demonstrate the thought leadership that GetIt Comms has in this area. At the time of writing the paper, the B2B space especially in Asia had not quite cottoned on to using social media for their marketing initiatives. There were many self-proclaimed gurus and wild ideas whirling around that only served to confuse and alienate, rather than educate and inform. The need of the moment was a structured and practical approach with sensible and actionable ideas. We felt the paper would be the ideal platform to share some of the practical experience in this regard gained through engagements with our clients. The reception went beyond expectations. We distributed it through various channels – our blog, Scribd, the Twitter-verse, and the like, and hit a thousand downloads in a short space of time. It also gained the attention of several B2B bloggers and to date has been read close to 4,000 times. What people have told us is how they could take the ideas in it and run with it in their organisations right away as it helped get buy-in from their management, and steps to get going sans theoretical clutter. We are gratified at this response. As always, we stand on the shoulders of giants in this space and while we don’t know it all (if that’s ever possible), we’re happy to have contributed in some measure to the collective stream of ideas. So thanks to Anol, Asuthosh & Jaspreet for the great content. Please keep it coming! 1. Spend at least as much time listening as you do broadcasting. 2. It’s called “social media” for a reason. Be prepared to interact consistently. 3. You can’t win the game focusing on the scoreboard. Focus on the game of engagement and the traffic will come. 4. Losing followers is okay, measure the engagement level of who is still here to see how you are doing. 5. Have a goal, measure results, measurement provides feedback and improvement. 8. Study people who are credible with the type of clients you want to attract. Model their strategy. 9. Marketers aren’t always synonymous with community builders, traffic and followers isn’t always equal to credibility. 10. If you’re an old school e-mail marketer or pitch artist, there’s some habits you will need to unlearn. 11. Before you start your campaign define your market and their pains. 12. Everyone and every company gets off message once in a while. Refocus and learn from it. 13. Leaders of large “Tribes” need to have thick skin and a tolerance for noise. 14. Continually tweak and update your Linkedin profile, your network will be notified. 15. Social media is changing so quickly that if you stop too long to smell the roses you’ll be out of touch. 16. Try a new platform each month, video blogging, FaceBook, tumblr etc. Curiosity can lead to great discoveries. 17. You can’t make a robot network for you at a party, why do you think they can do it for you on the web? 18. Some un-follows are strategic. People want to know if you’re really listening. 19. You can’t please everyone. But know who you are trying to connect with. Get in sync with your audience. 20. http://www.ping.fm updates FaceBook, Brightkite, Twitter, tumblr and Linkedin statuses all at once.